Linux network stack is very powerful. Network stack provides a lot of functionalities where most of the enterprise network products can not offer. Here we will look basic and everyday network administration commands. Network connectivity can be checked easily with ping and telnet tools. One method to check internet connectivity is ping to Google. PING google.com (216.58.212.46) 56(84) bytes of data. # telnet google.com 80 Trying 216.58.212.14... Connected to google.com. Escape character is '^]'. If we see other than Line 3 it means there is a problem. 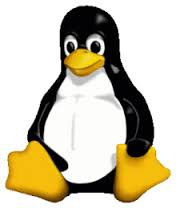 Linux system can have multiple interfaces. Listing them can be done different ways but most used and modern way is using ip commands. We issue ip link command and get all interfaces. Interfaces are numbered to be easily indentified. After the interface name came like ens . After interface name the status of the interface cames. There are different options but most important is UP and DOWN option. If there is DOWN status it shows there is a problem or the interface is not set UP . And there is MAC address like 52:54:00:ea:3f:9c . We can set an interface with ip link command by using set . We have set down the interface and than list the status of the interface. Now we can set up the interface again. Keep in mind if an interface is set down the network communication about the interface will be down. Good, everything works as what is expected. We simple used up argument instead of down . If there is an dhcp server in the interface network it will get an ip address as soon as possible. Listing ip address is easy. All interfaces ip addresses will be listed. We may want to list specific ip address. Because in enterprise systems there will be a lot of interface and ip addreses. We want to set ip address statically. If dhcp is enable in the interface network it will get automatically an ip address. LEARN MORE How To Install Gns3 To Fedora? Our interface has all ready an ip address. Removing ip address is similar to adding just add command is substituted with del command. As we see previously added ip address is removed. LEARN MORE How To Manage Windows Firewall From Command Line With Netsh Command? Static route is a new route that is inserted by system administrator. Normally routing entries are inserted by system itself. Removing static route is easier than adding it. Default gateway is a route too. But default gateway is special because if there is no entry on the route table about destination network, packets are forwarded through default gateway.